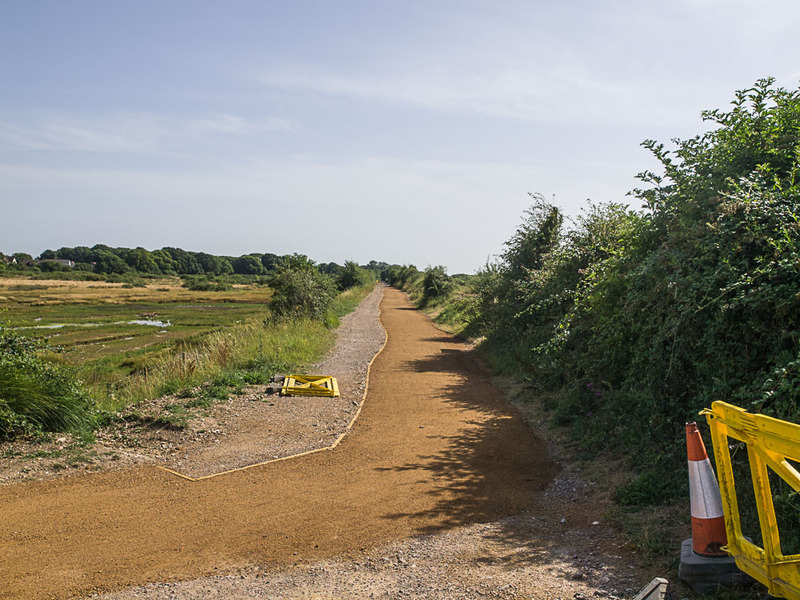 To the left foreground is the end of the previously re-built northern link section of the Hayling Billy trail. The phase 2 upgrade of the old railway route will be in two sections (without barriers). 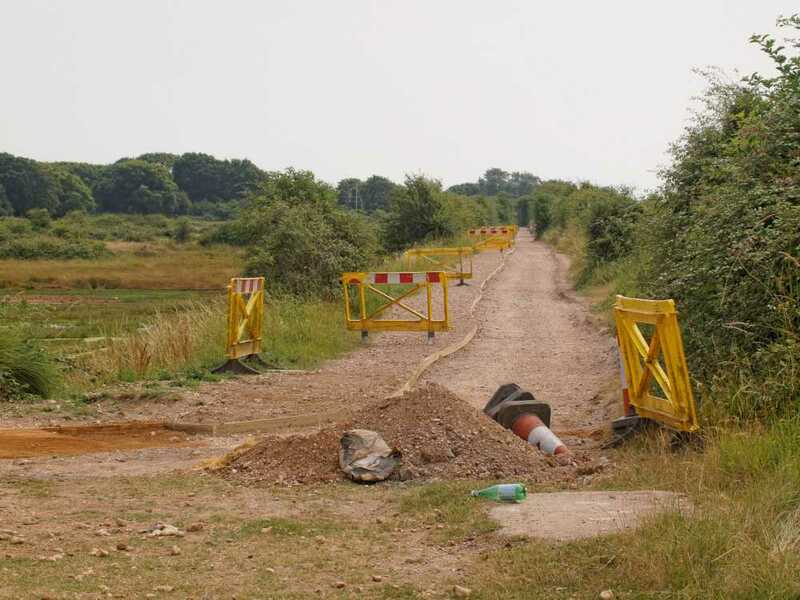 Levels here have been established with the left hand side being prepared for equestrian use and the remainder (currently at a lower level) will be rebuilt using the same material as the phase 1 construction. 100mm has been removed from the top surface of the railway alignment. The reason for the surface being scraped is remove all the debris, mud etc. was to improve drainage and to provide a sound base on which to construct the new pathway surface. 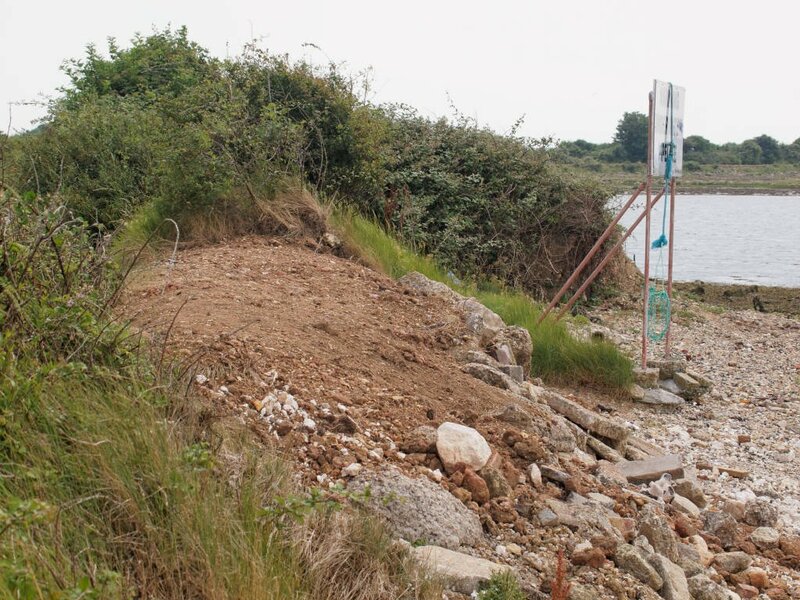 The spoil removed was used to repair the embankment which had failed the previous year.